On May 16, 2017, SPEA and the partners at LIFE Fura-bardos organized the final event of the LIFE + project "Conservation of Macaronesian Sparrowhawk and the Laurissilva habitat in Madeira Island ", to present the main results of the project after 4 years. 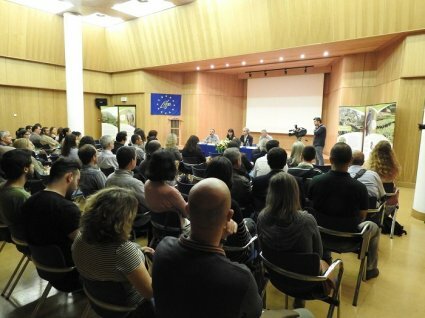 This event, held in the Auditorium of the Regional Secretariat for Environment and Natural Resources in Funchal, was attended by official entities, invited researchers, project teams and many participants of the general public. In addition to the final workshop presented to the public, was held the IV Scientific Meeting and a workshop to discuss the Action Plan of Macaronesian Sparrowhawk.